Checked with Mr. Latest Log - nothing there. Checked my 'puter - all working within normal parameters. Checked planetinfo.plist - everything was as it should be. Systems visited prior to Ersoonve all look like the second image. Left Ersoonve behind and all planetary systems returned to their normal view of space as in the second image. 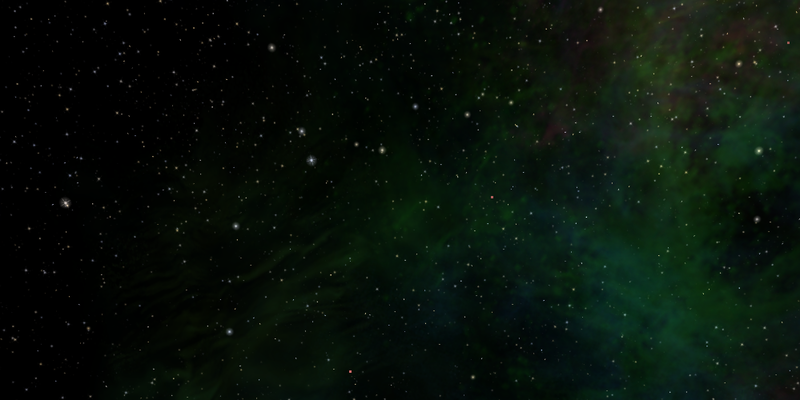 Went back and jumped in and out of Ersoonve several times and space there always looked like the first image. Only Ersoonve displays this anomaly, so far. Has some strange Dark Matter build up effected this system? Has anyone else encountered this phenomenon? Very strange. 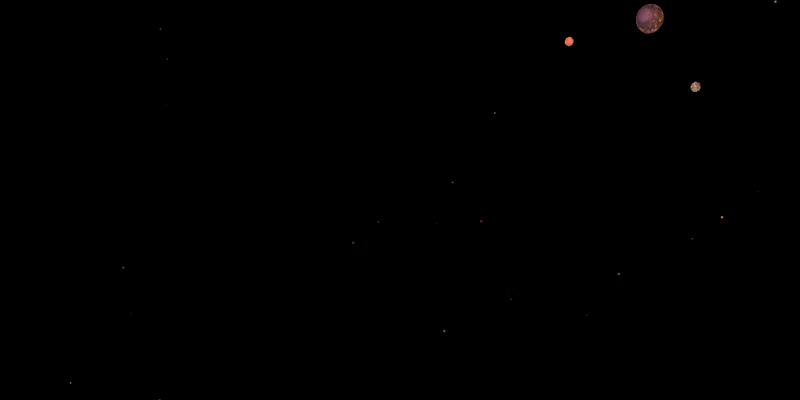 Even with my star_count_multiplier way upped, there are still some systems almost totally bereft of stars (and nebulae). Good to know that it is not some sort of specific planetary system bug. Never encountered this before so reported it as a possibility. Did not want it to end up Burning Down The House. Kudos on getting the Bowie reference. Last edited by Nite Owl on Fri Nov 30, 2018 8:01 am, edited 1 time in total. Thank You Svengali. Was unaware such a list existed. Bookmarked it for future reference. Found the problem in the Ionics OXZ. Ersoonve is in the Ionics OXZ planetinfo.plist with several sky/space variables in its legacy scripts. Removed those, and those from the other planets found in that planetinfo.plist, and Ersoonve space is back to looking the way it should. Got it done One Way Or Another. Will try to refrain from music references in all future threads. Cody found the first one but there are two more, one in each successive post including this one. Is my age showing by my music choices? Who's Next. Oops - sneaked in another one. Is my age showing by my music choices? Absolutely! Silver Spacers are go!